Other than required high school reading, what do Ernest Hemingway, John Steinbeck, Truman Capote, Jack Kerouac and E.B. White have in common? 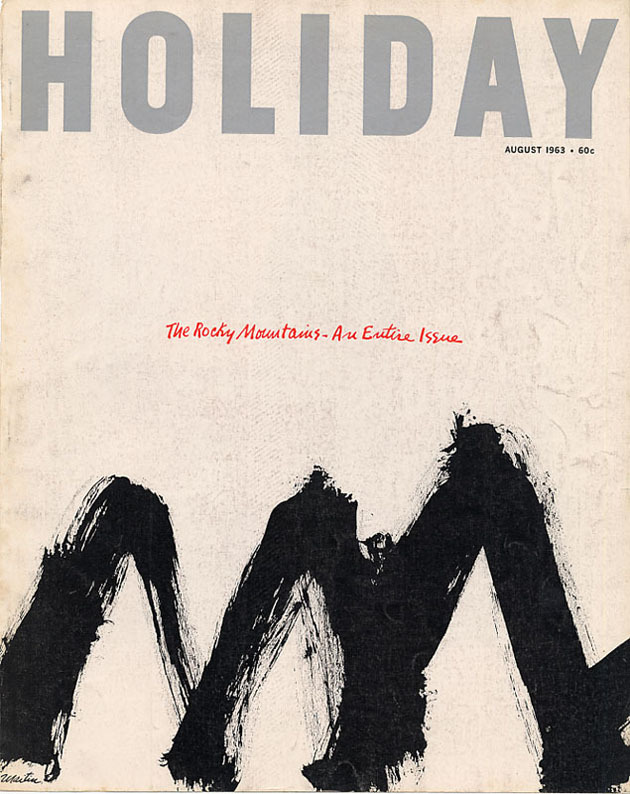 Each crafted some of their most celebrated essays (Capote’s “A House On the Heights” and White’s “Here Is New York” among them) for a largely forgotten magazine called Holiday, a travel rag that, during its heyday in the 50s and early 60s, ranked right up there with Life and Esquire. So why have so few people heard of it? 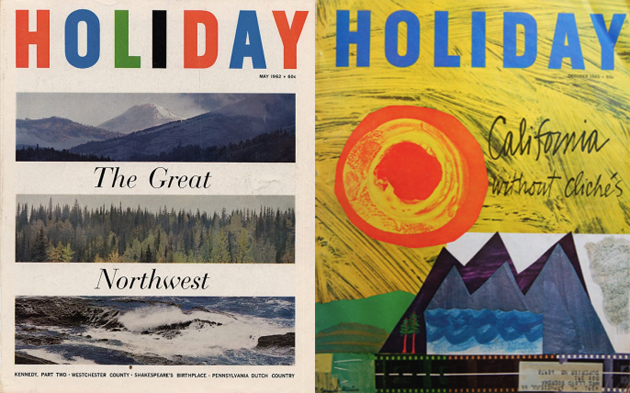 The magazine boasted one of the most dynamic editor/art director relationships of the 20th century, Patrick Henry and Frank Zachary. 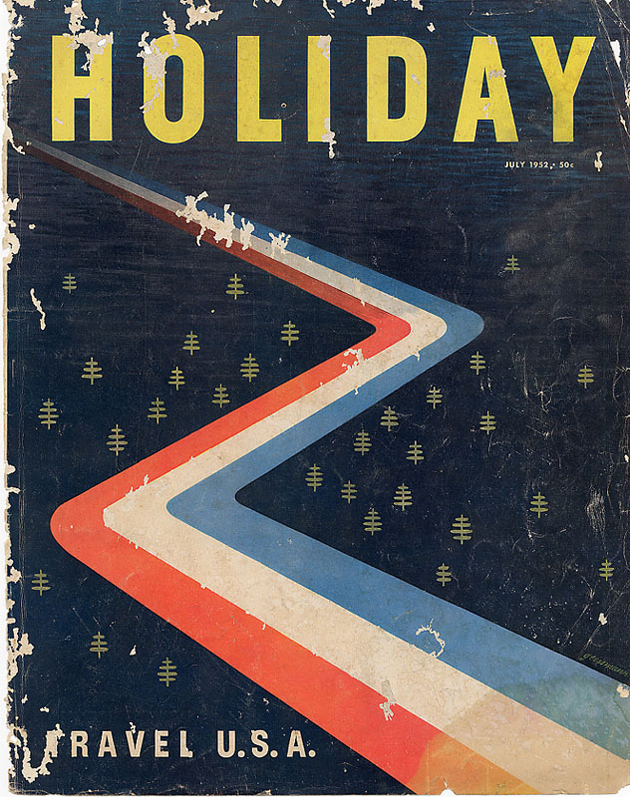 Henry provided the words: John Cheever, John O’Hara, and Joan Didion all contributed to its pages. 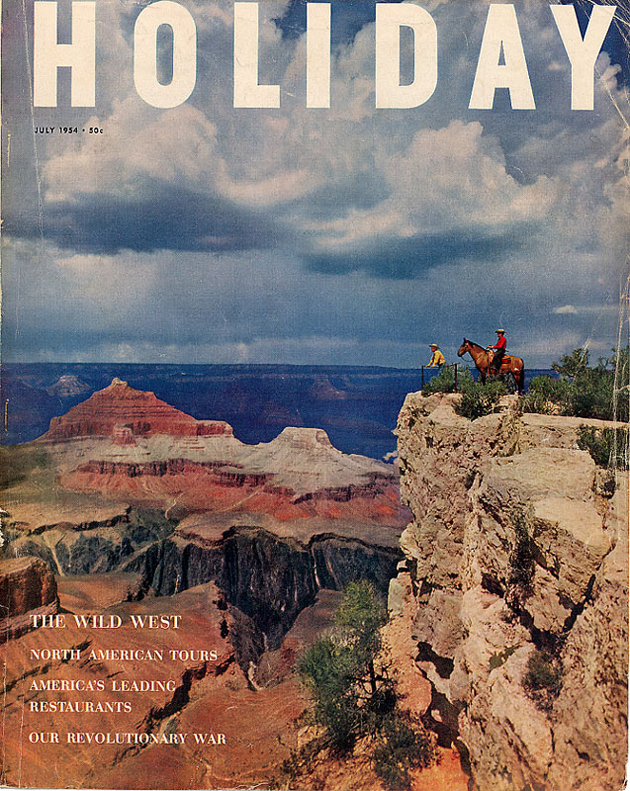 Ray Bradbury wrote a mind-boggling story about how Disneyland’s childhood fantasies are better than adult’s revisionist histories, saying: “Disney liberates men to their better selves.” Stories like Didion’s “Notes from a Native Daughter” and Kerouac’s “Alone On a Mountaintop” are good examples of popular stories originally commissioned by Holiday editors that went on to go viral on their own.